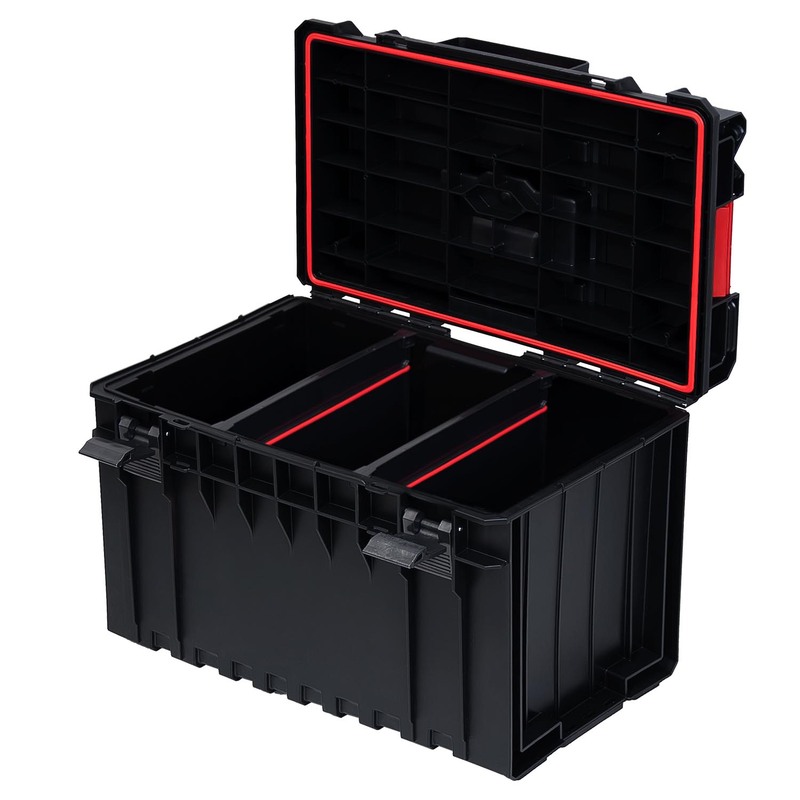 ONE 200 is a versatile, modular tool box which combines the characteristics of a medium-sized container with Organizer. 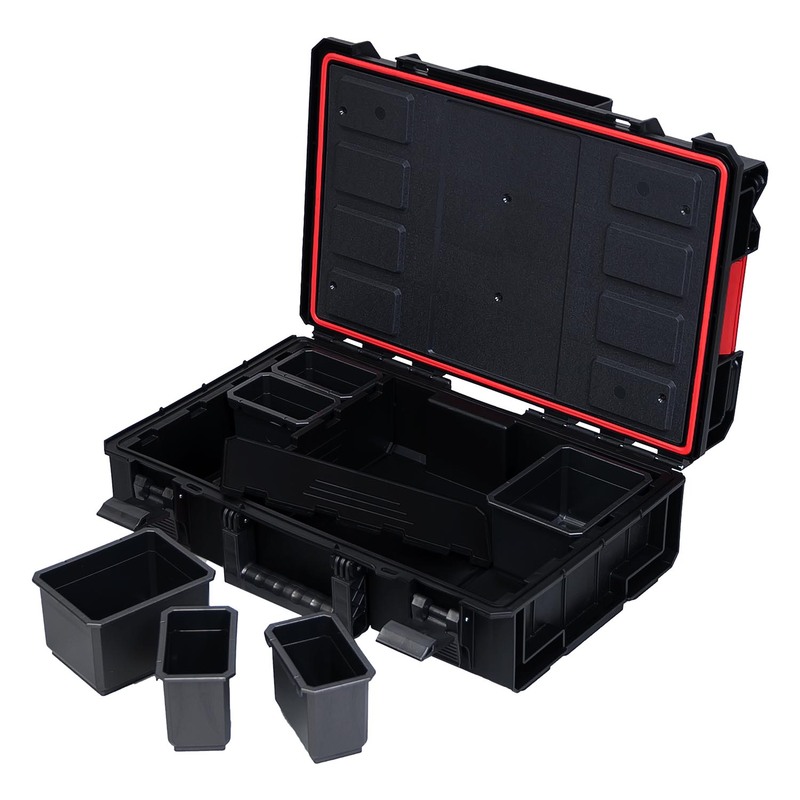 With adjustable dividers and 6 removable containers each user can create the optimal combination for his needs. 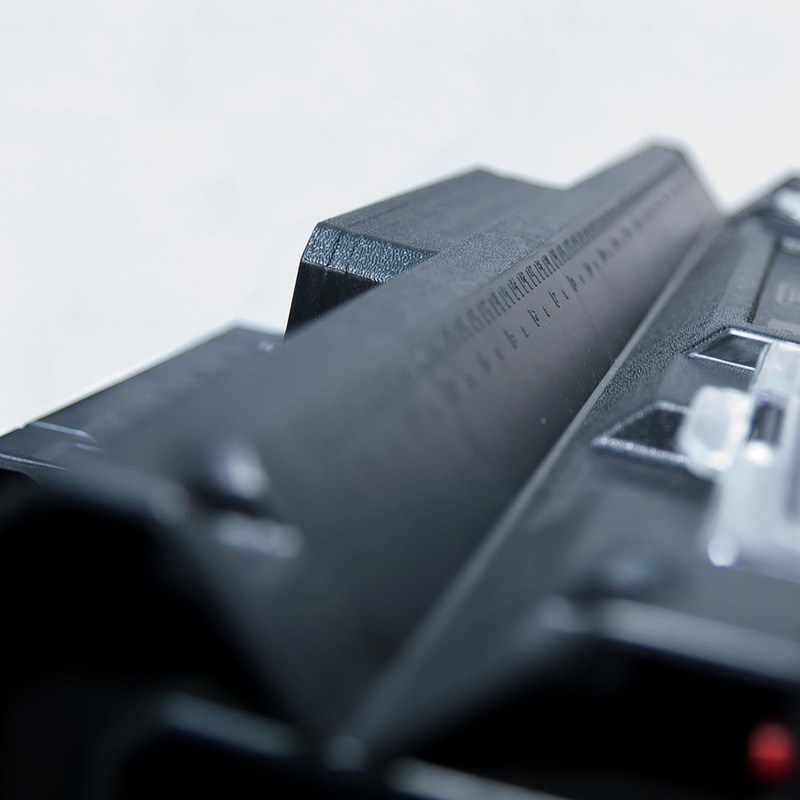 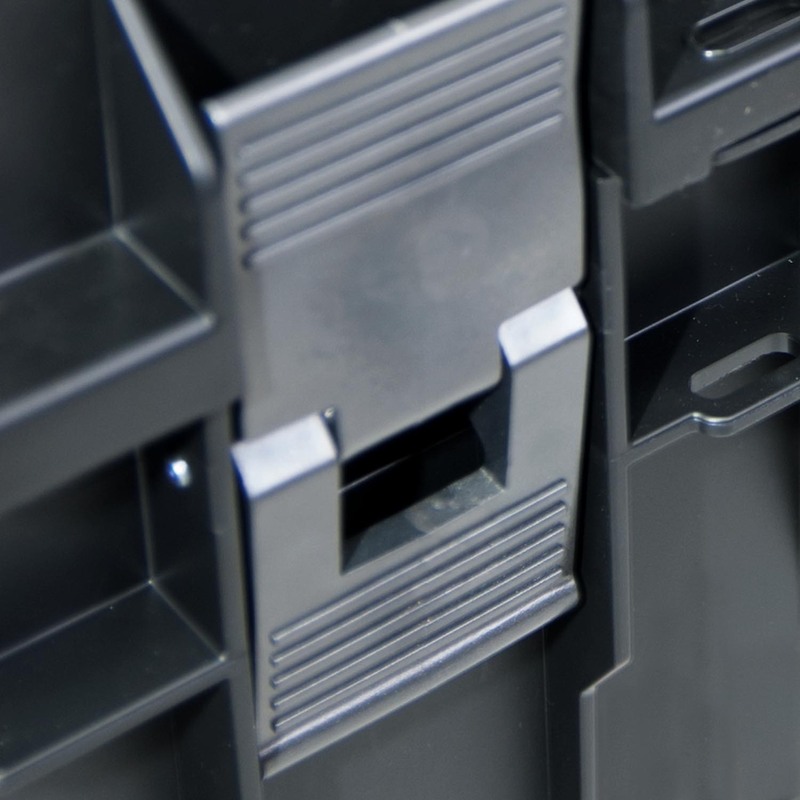 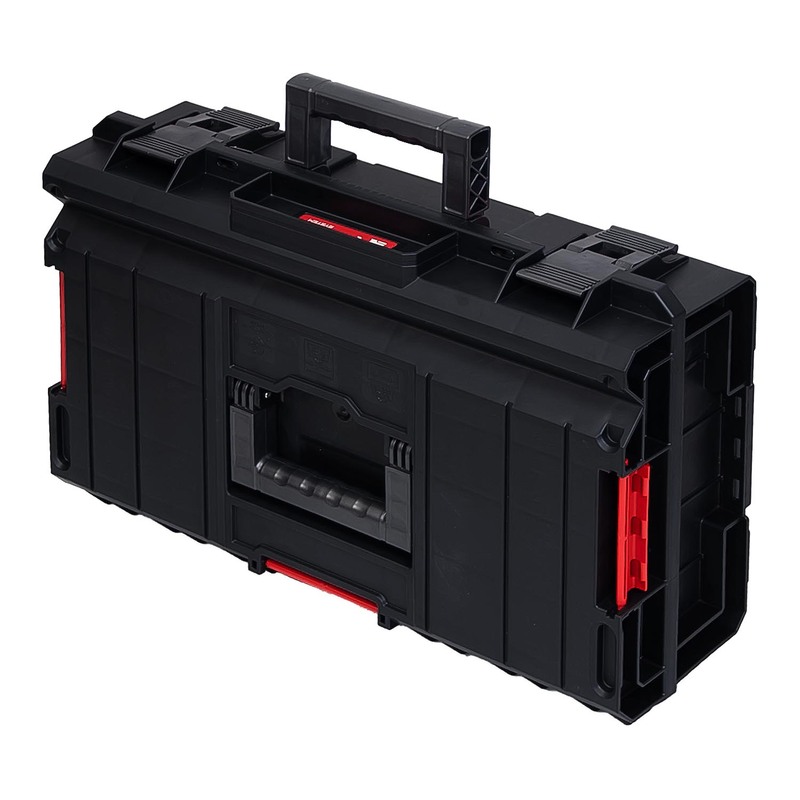 Each tool box is equipped with flexible seal, which provides complete protection against dust and water. 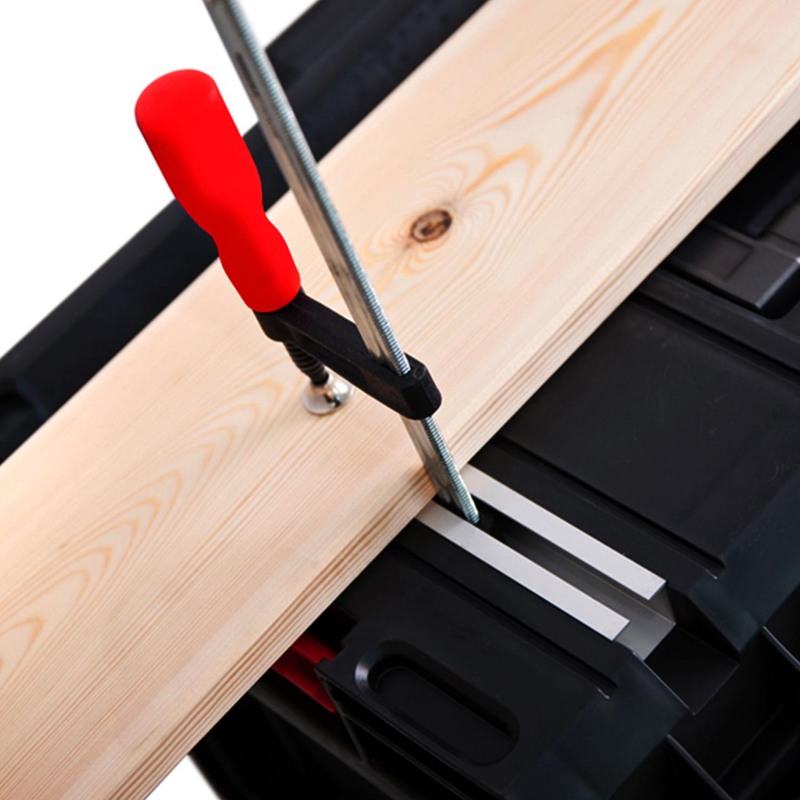 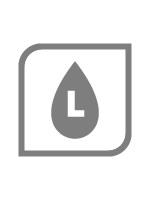 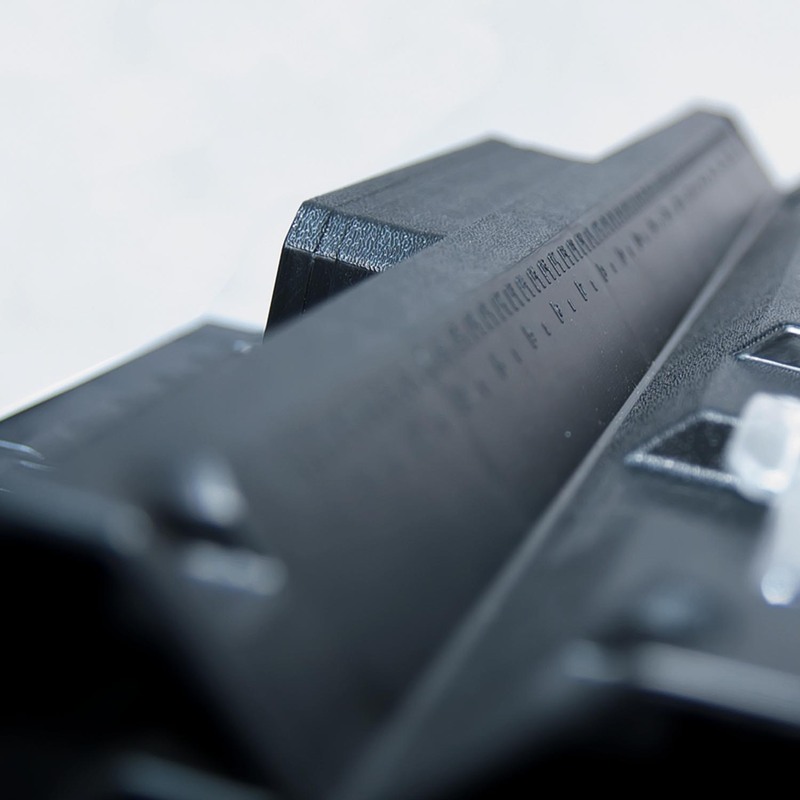 The lid in Basic version is equipped with a functional slot to cut and a measure. 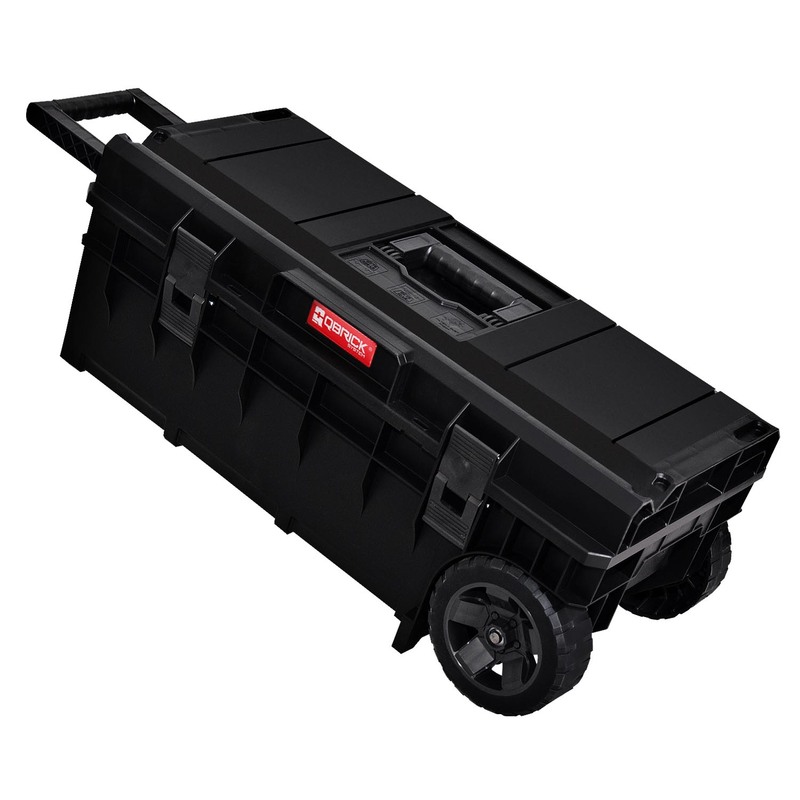 Reinforced lid and body ensures high load capacity (50 kg) and can withstand pressure up to 120 kg, giving you the ability to create comfortable working platforms. 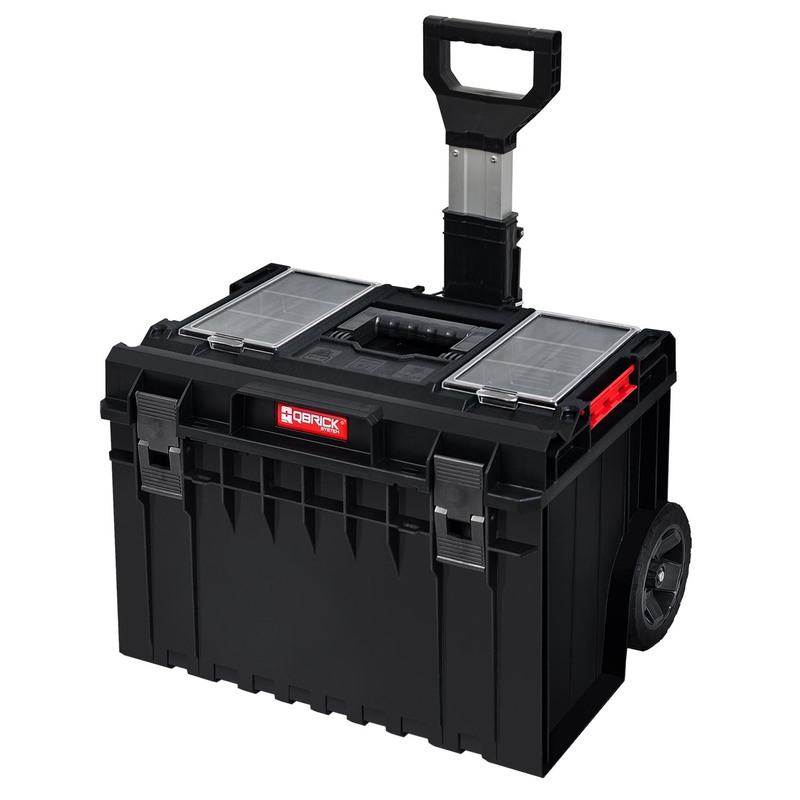 ONE 350 is a large tool box with a capacity of 38 l. It is able to accommodate a large volume of power tools and hand tools. 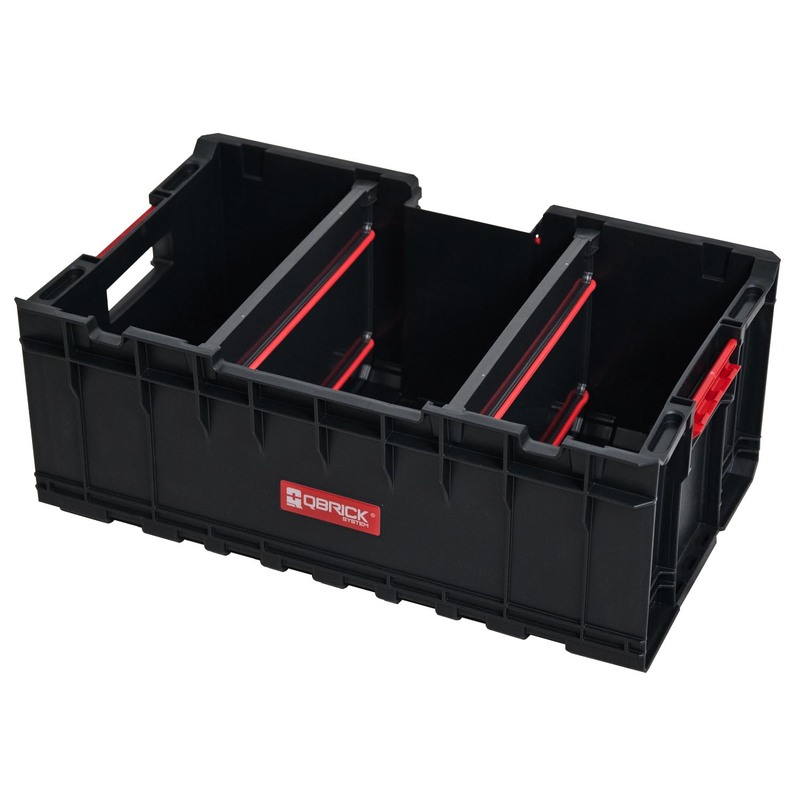 Two adjustable dividers allow you to maintain order inside the box. 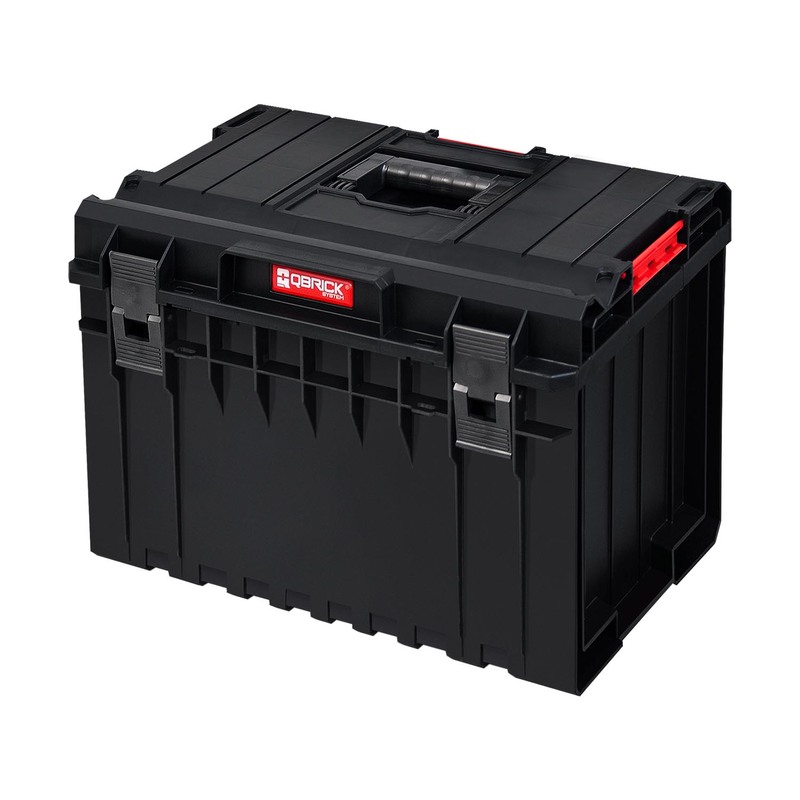 ONE 450 is a tool box with a very large capacity of 52 liters. 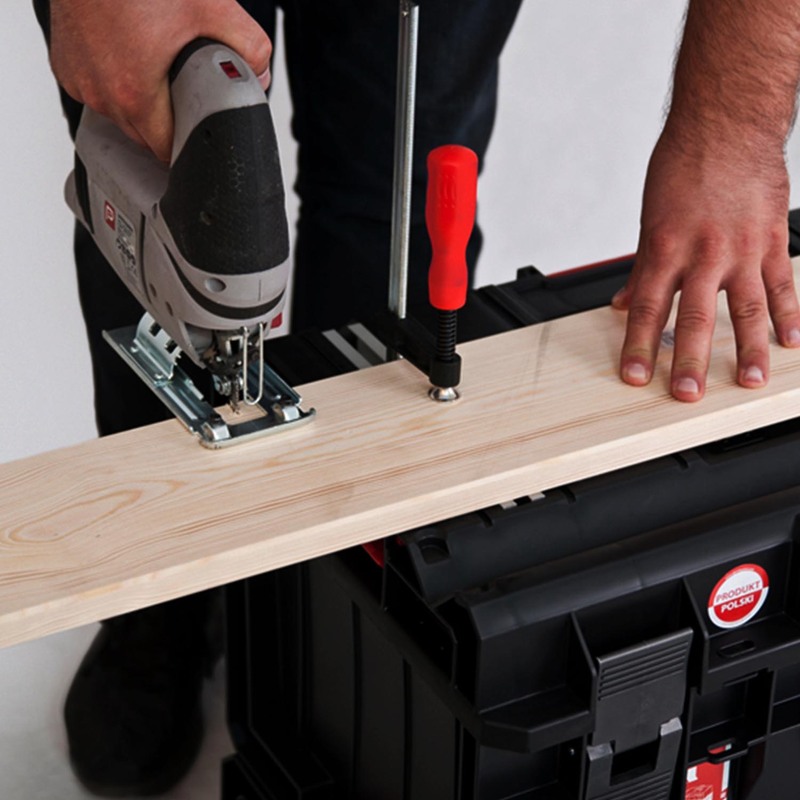 It is able to accommodate large power tools and hand tools. 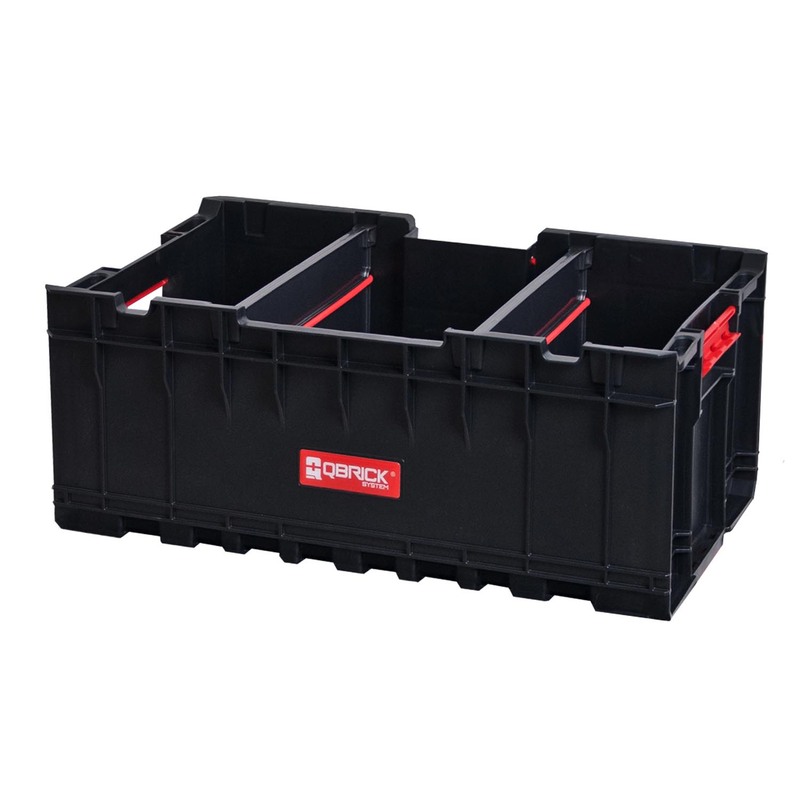 Two adjustable dividers allow you to maintain order inside the box. 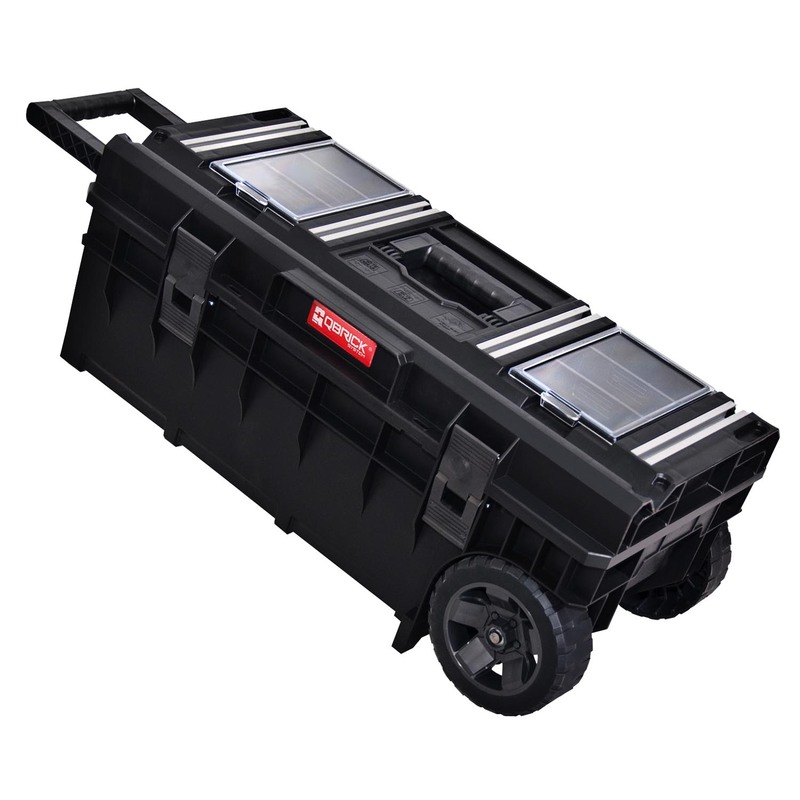 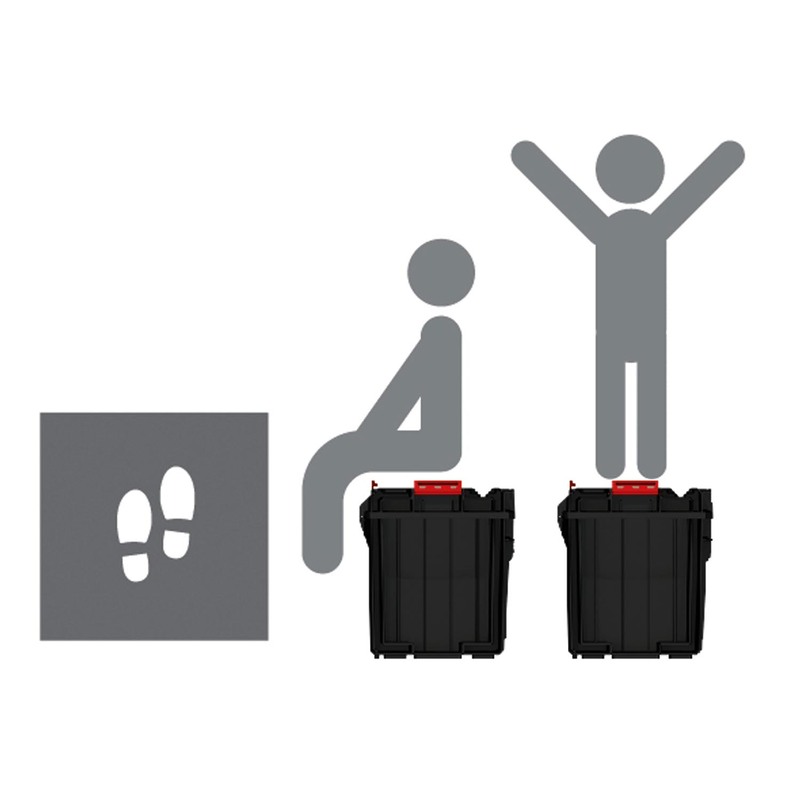 Reinforced lid and body ensures high load capacity (50 kg) and can withstand pressure up to 120 kg, giving you the ability to create comfortable working platform. 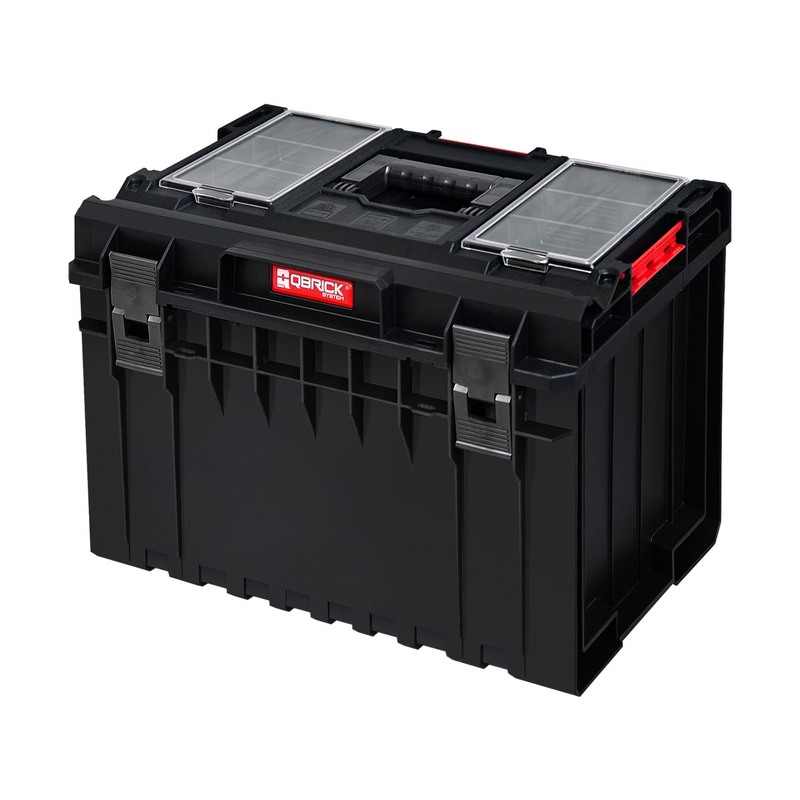 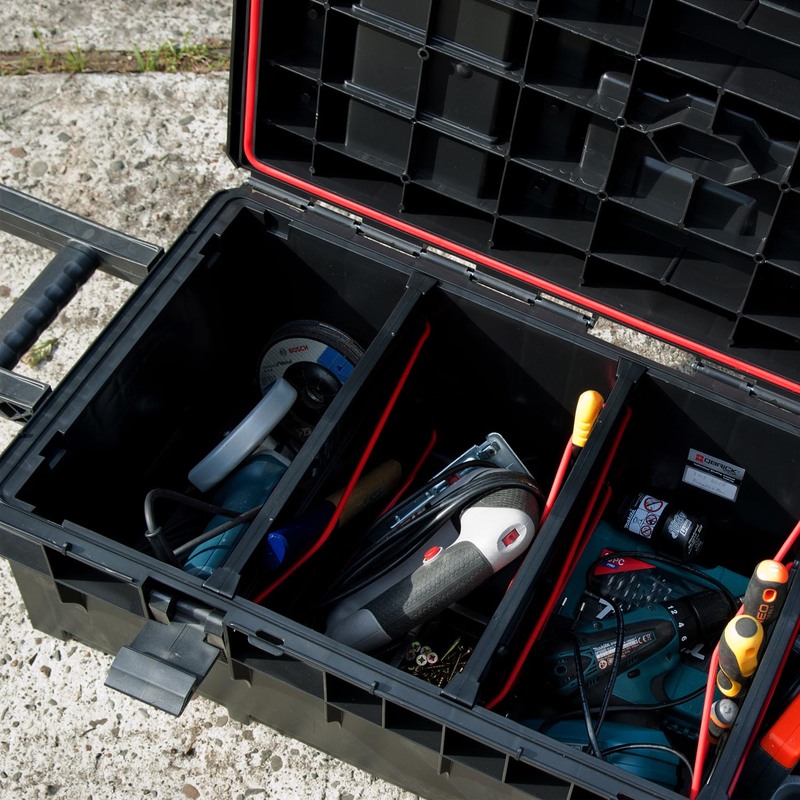 ONE 200 is a versatile, modular tool box which combines the characteristics of a medium-sized tool box with Organizer. 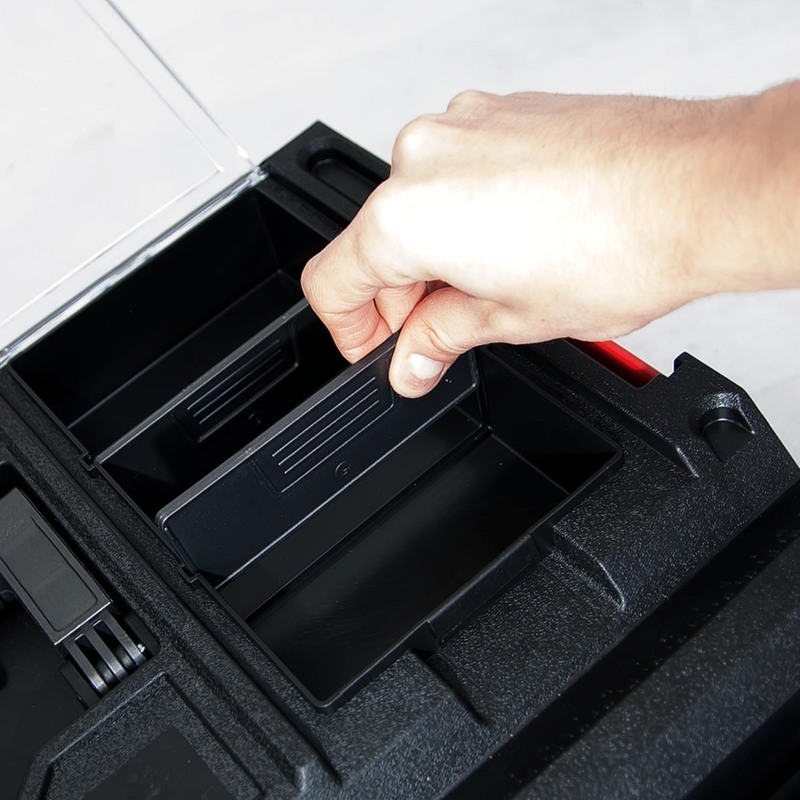 With adjustable dividers and 6 removable containers each user can create the optimal combination for your needs. 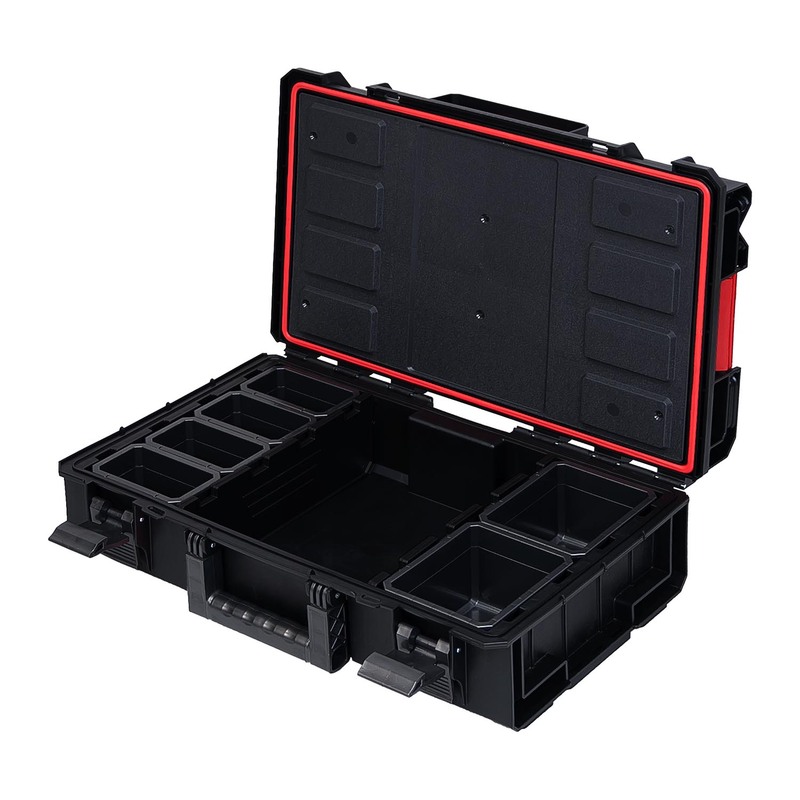 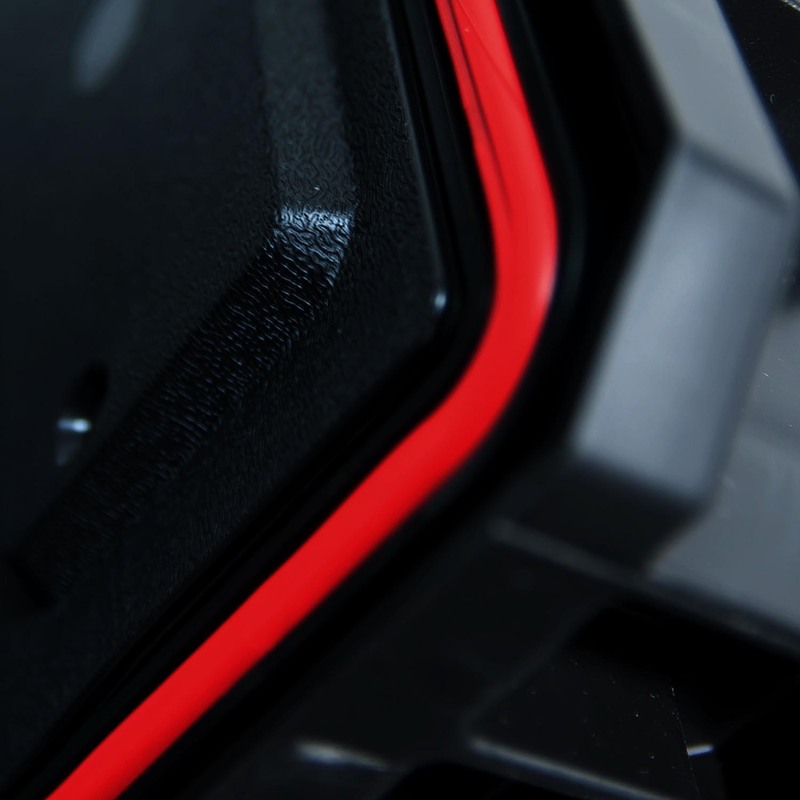 Each box is equipped with flexible seal, which provides complete protection against dust and water. 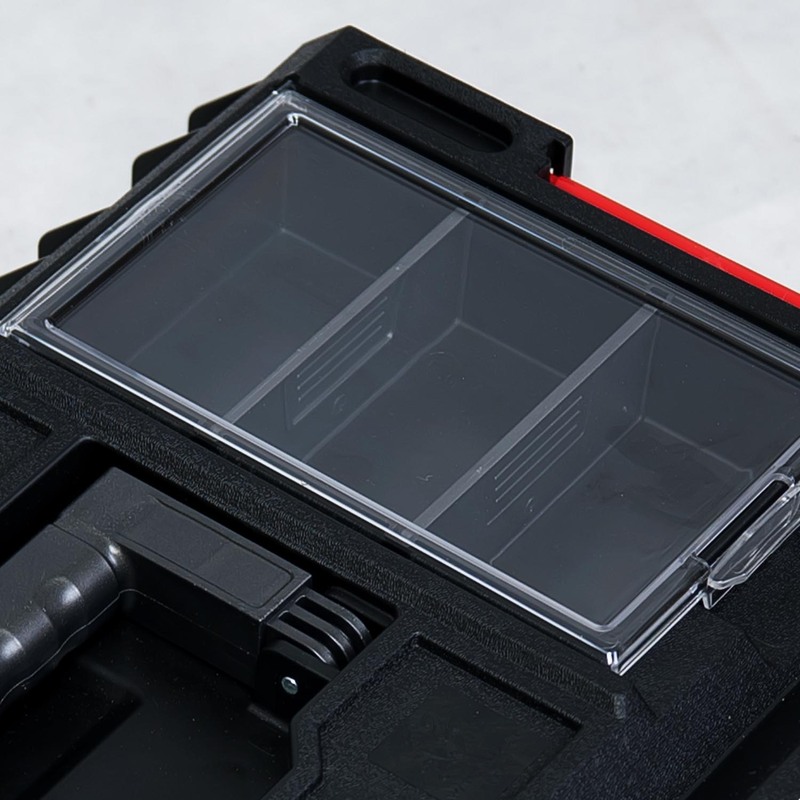 The cover in Profi version is fitted with two large organizers with movable compartments and polycarbonate transparent covers. The ONE 350 is a large 38 liter tool box. 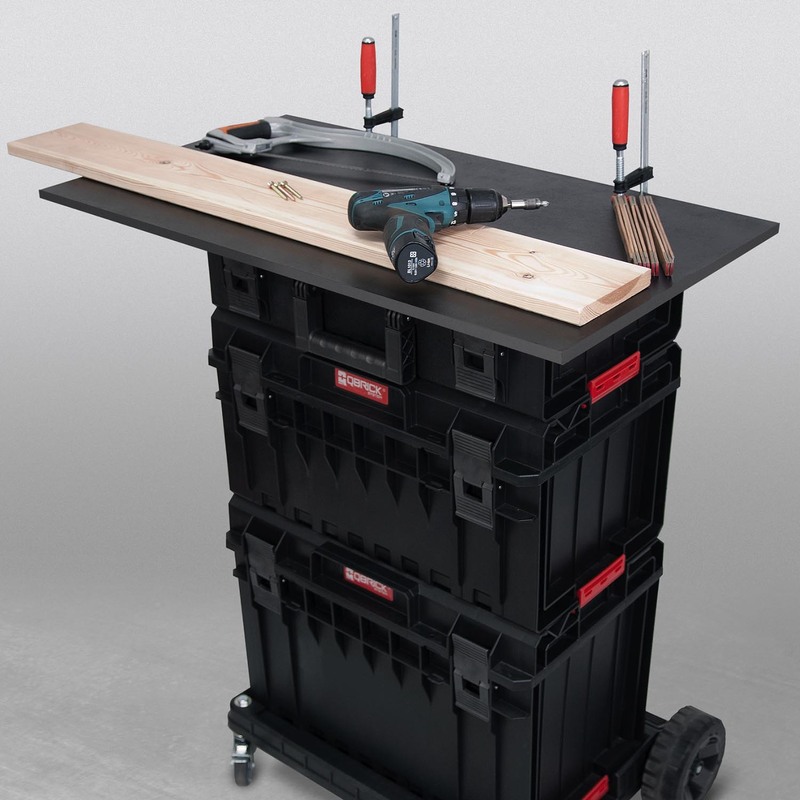 This allows it to accommodate a large size of power tools and hand tools. 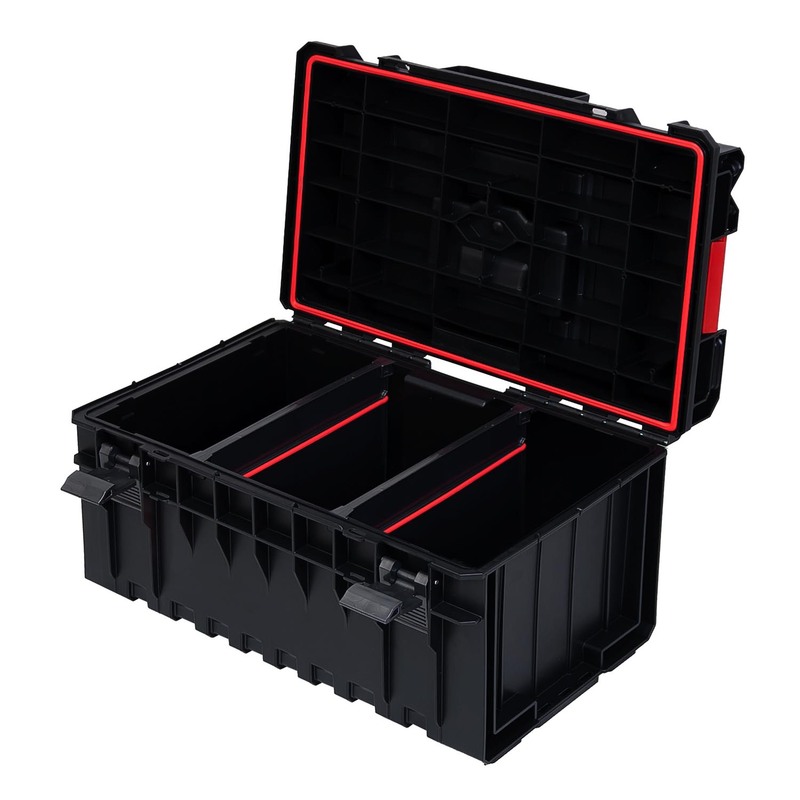 Two adjustable dividers allow you to maintain order inside the box. 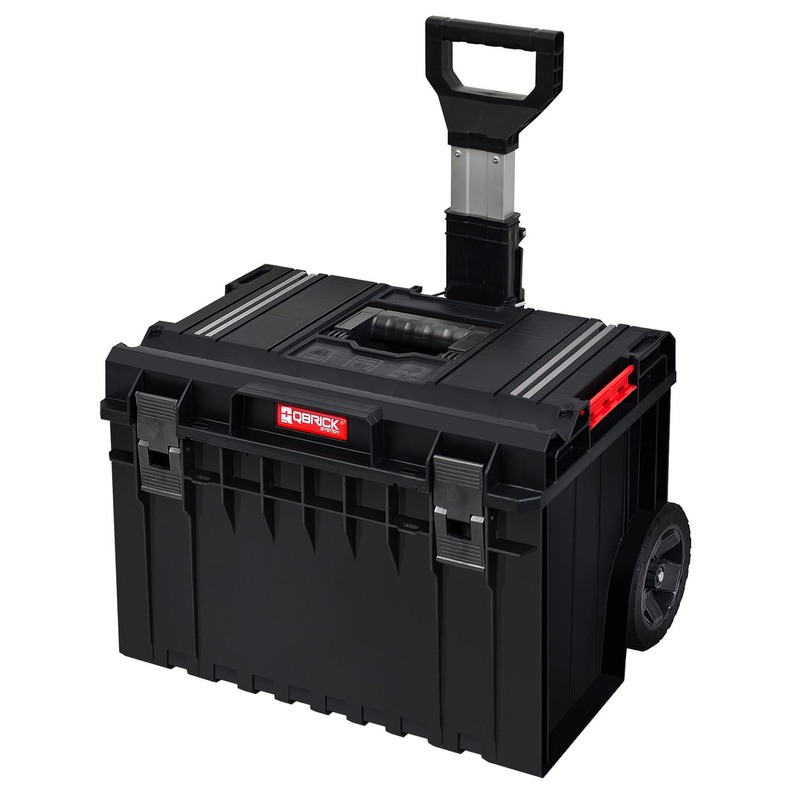 ONE 450 is a tool box with a very large capacity of 52 liters. 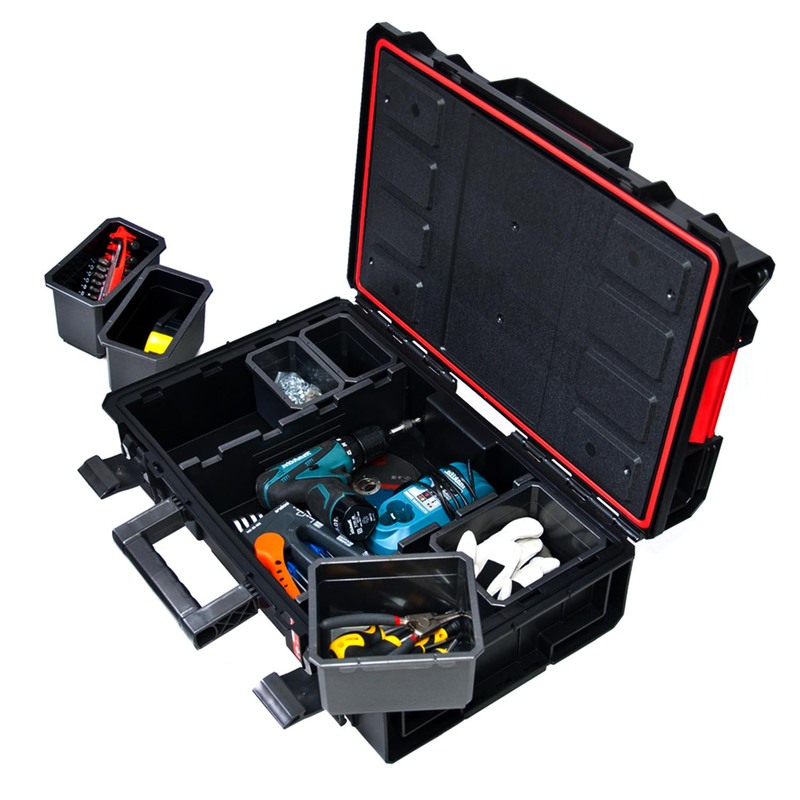 It is able to accommodate large power tools and hand tools. 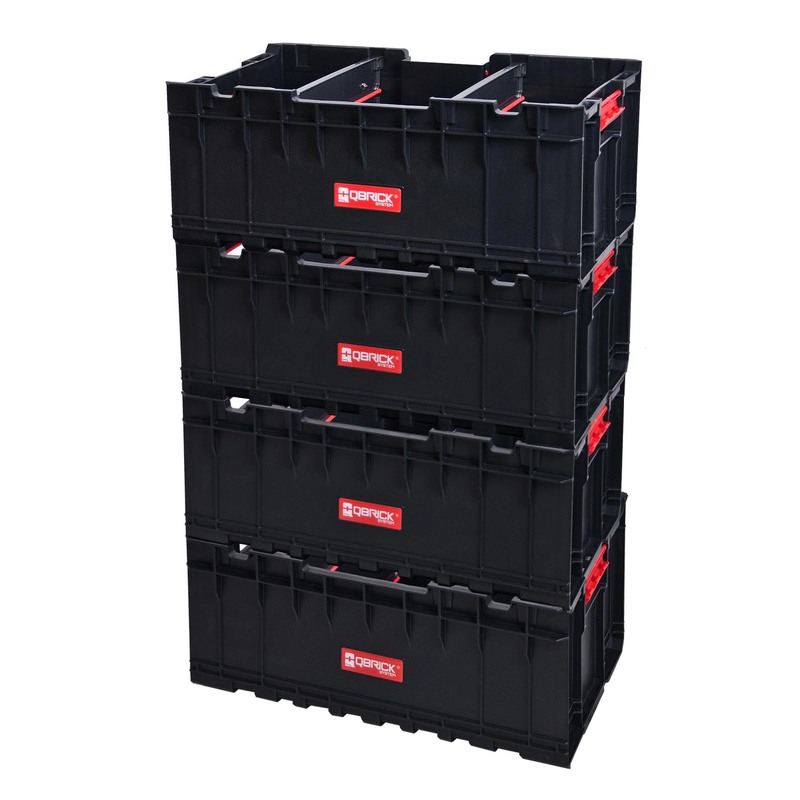 Two adjustable dividers allow you to maintain order inside the box. 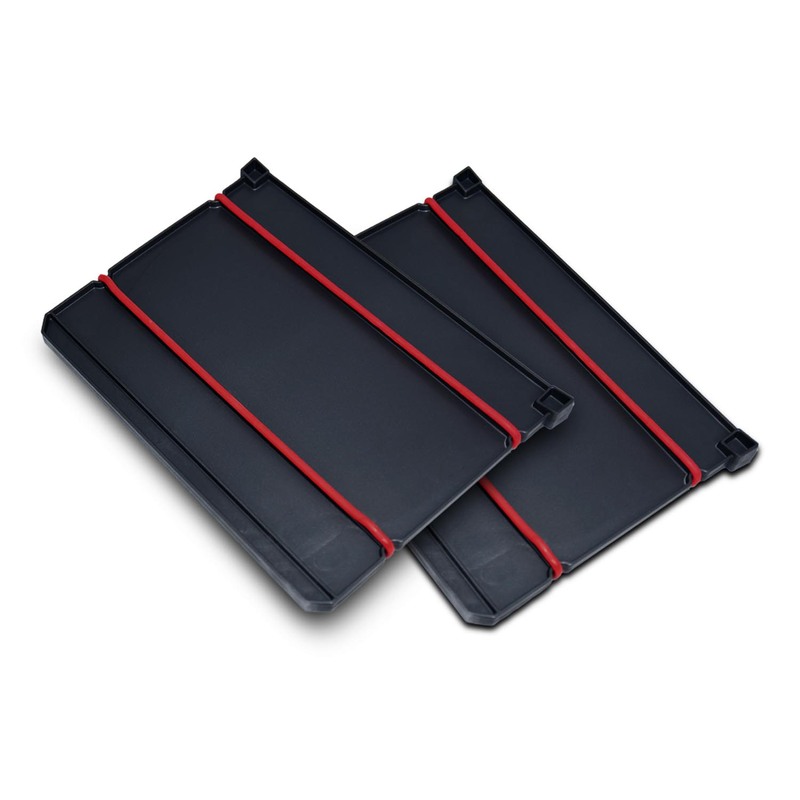 Each box is equipped with flexible seal, which provides complete protection against dust and water. 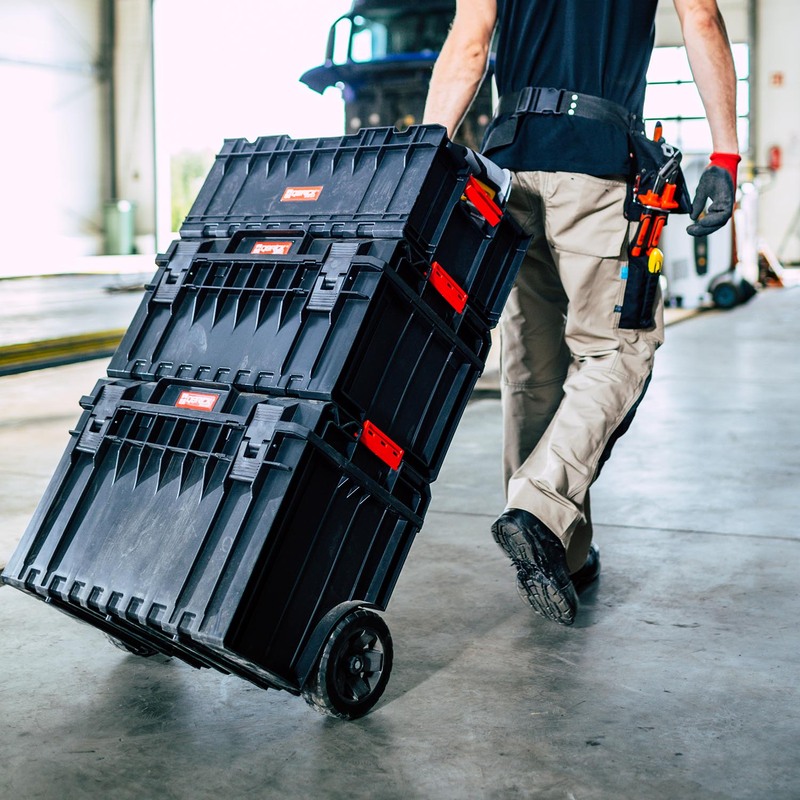 The Technik is the most advanced version of Qbrick, equipped with innovative aluminum mounting rails that allow the use of classical carpentry screw clamps. 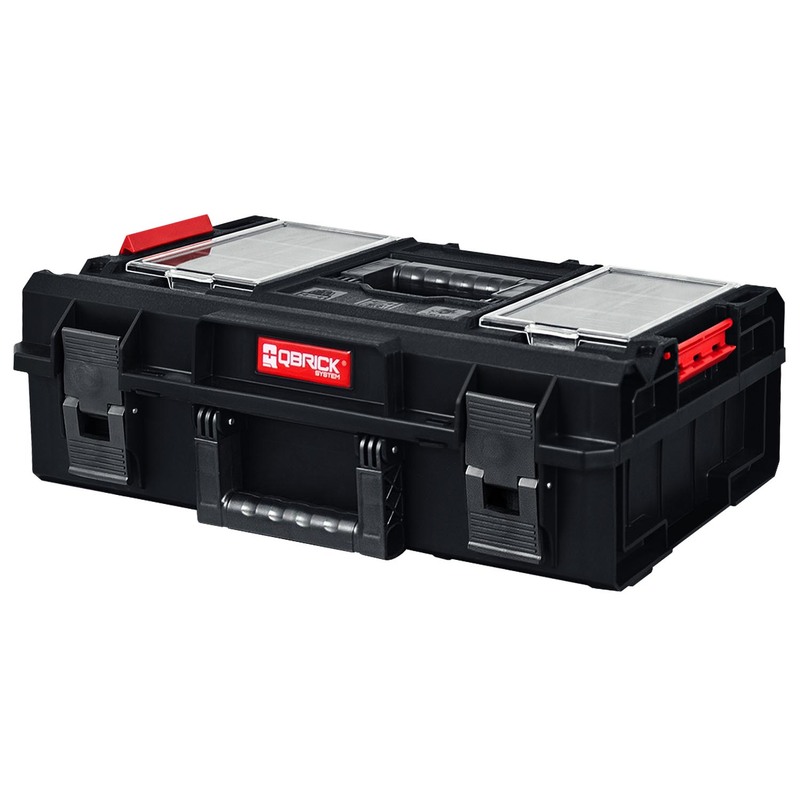 Thanks to them, Qbrick System Technik boxes can be used as work tables, necessary for precise trimming, gluing or holding. 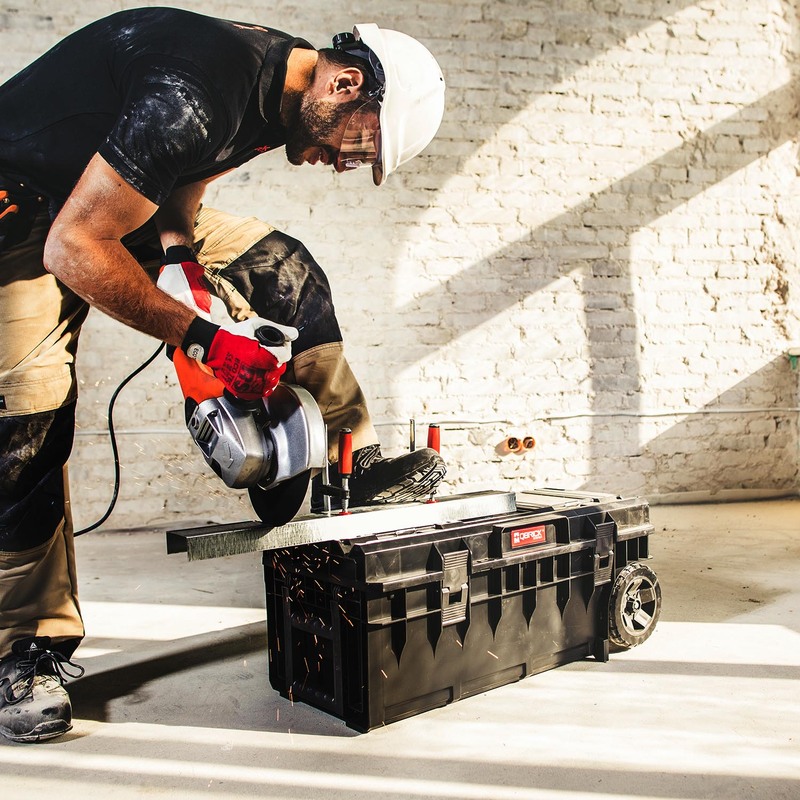 The reinforced lid and body structure guarantees a high load (50 kg) and withstands pressure up to 120 kg, giving the possibility of creating comfortable work platforms. 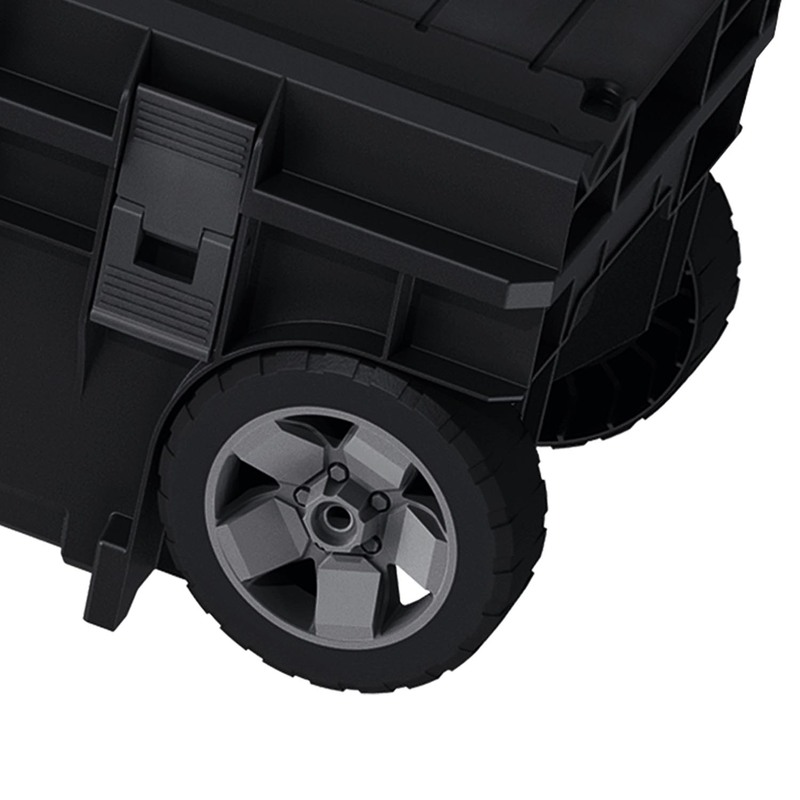 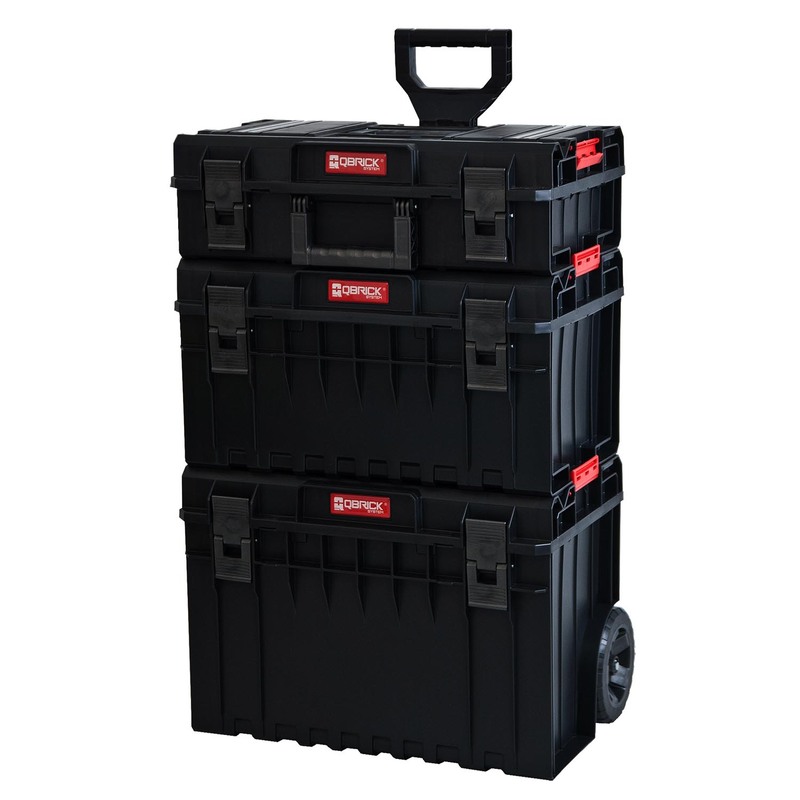 The ONE 350 is a large 38 liter toolbox. 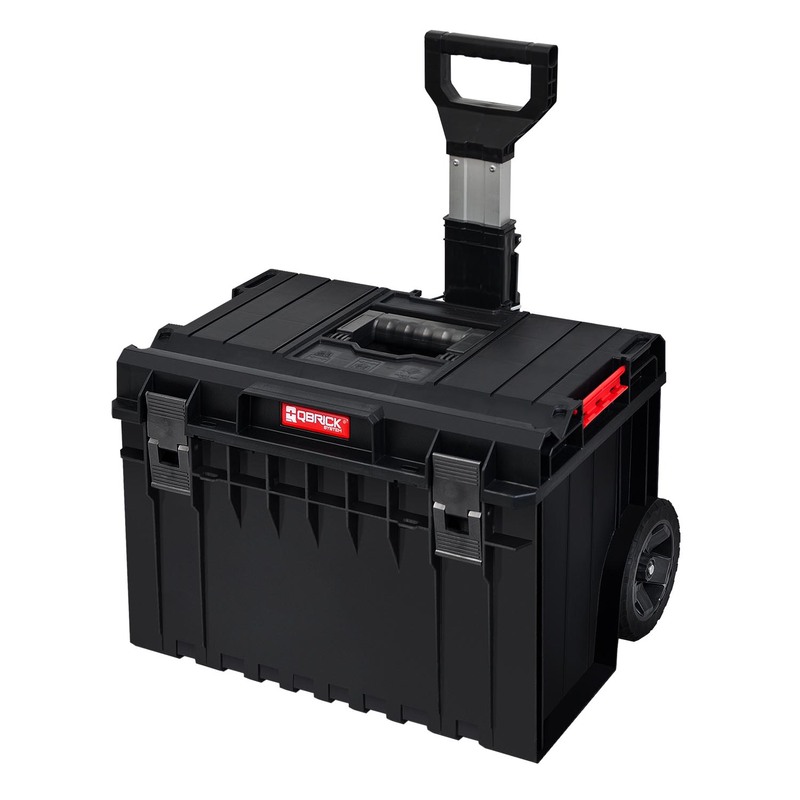 This allows it to accommodate a large size of power tools and hand tools. 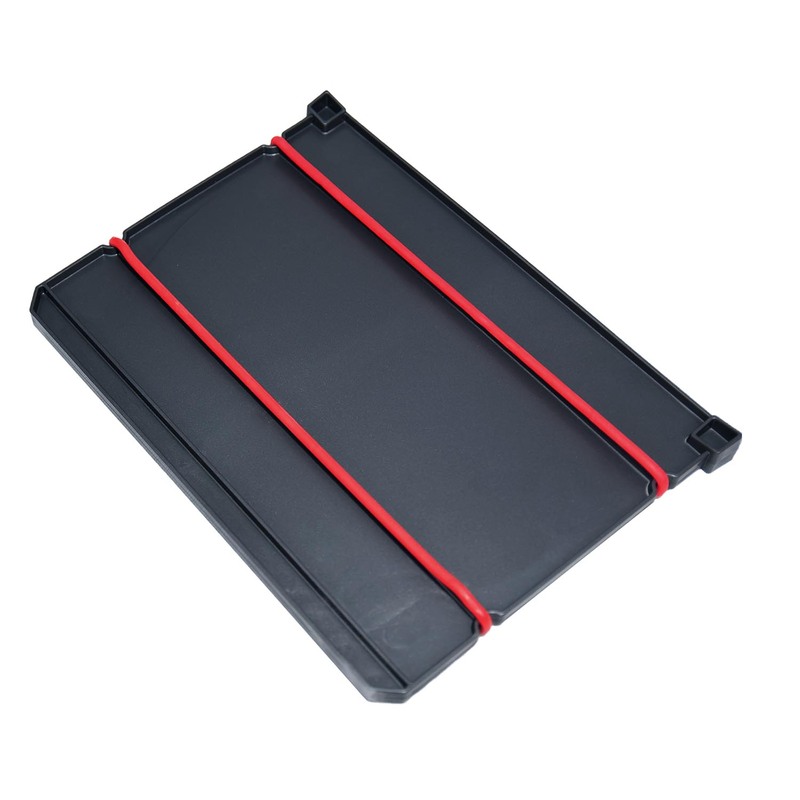 Two adjustable dividers allow you to maintain order inside the box. 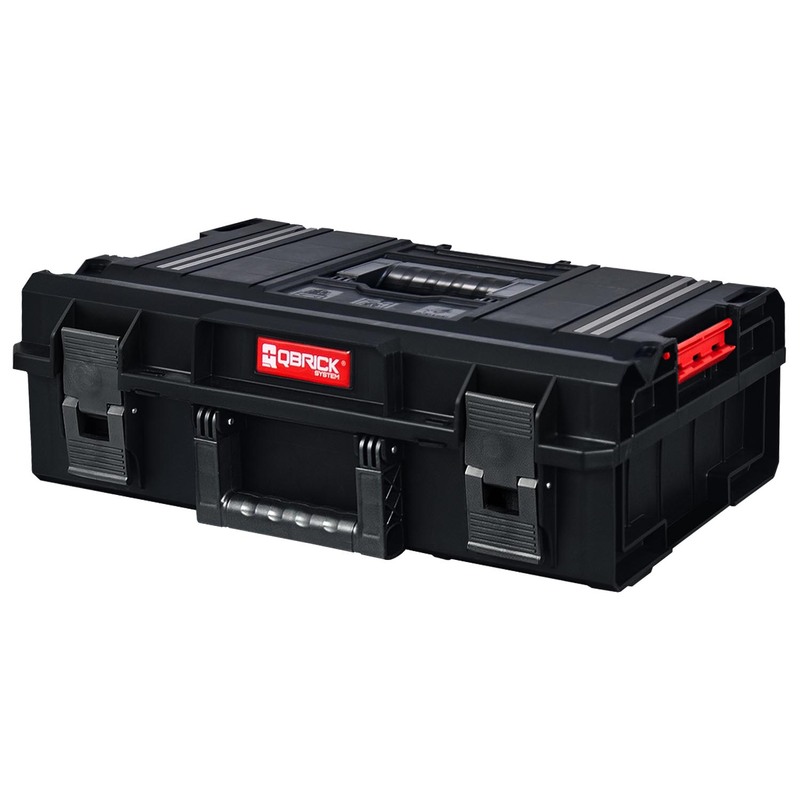 ONE 450 is a toolbox with a very large capacity of 52 liters. 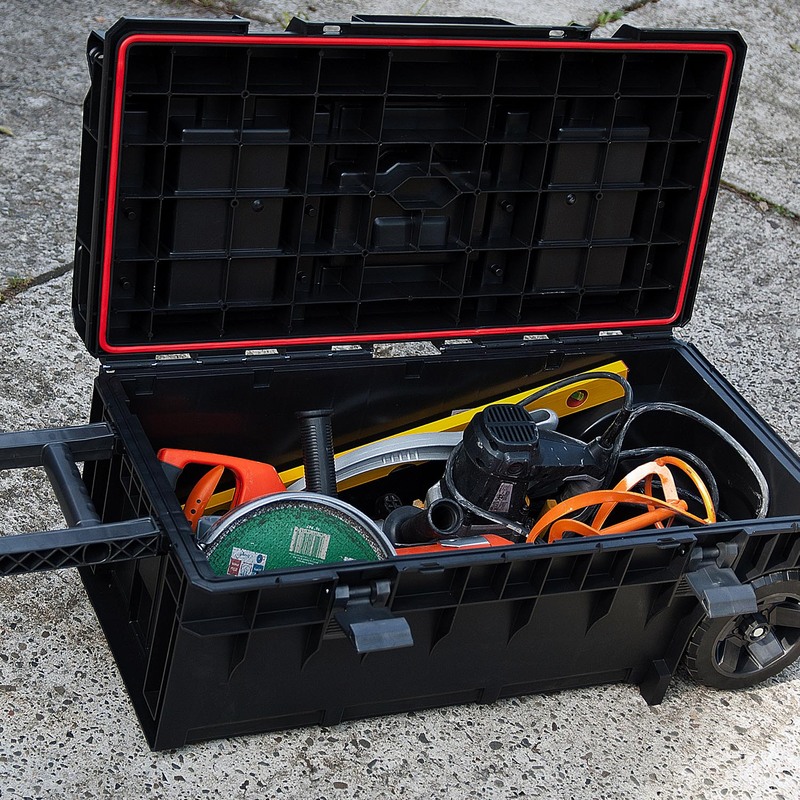 It is able to accommodate large power tools and hand tools. 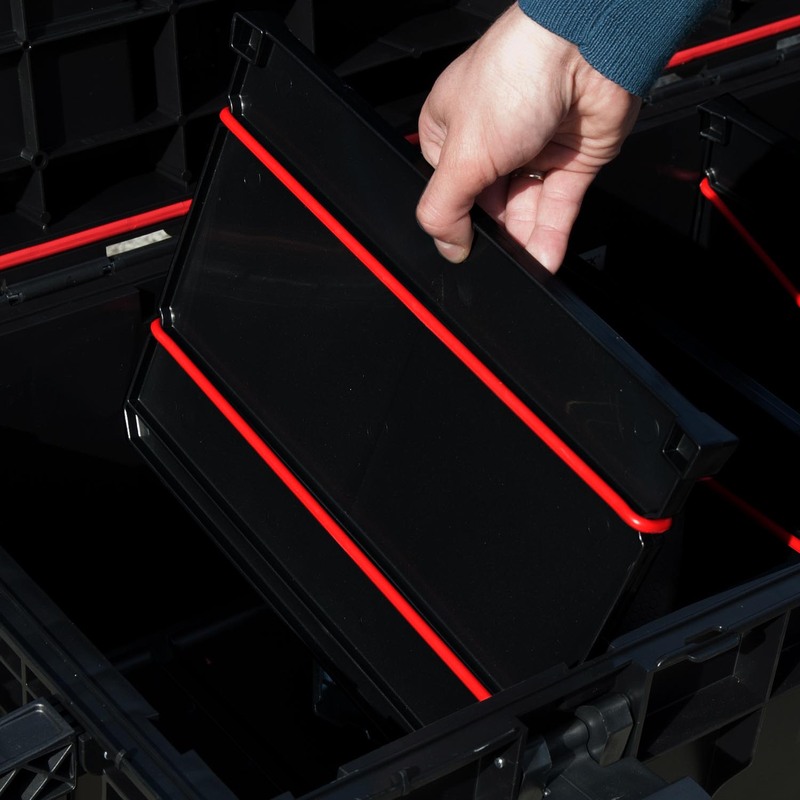 Two adjustable dividers allow you to maintain order inside the box. 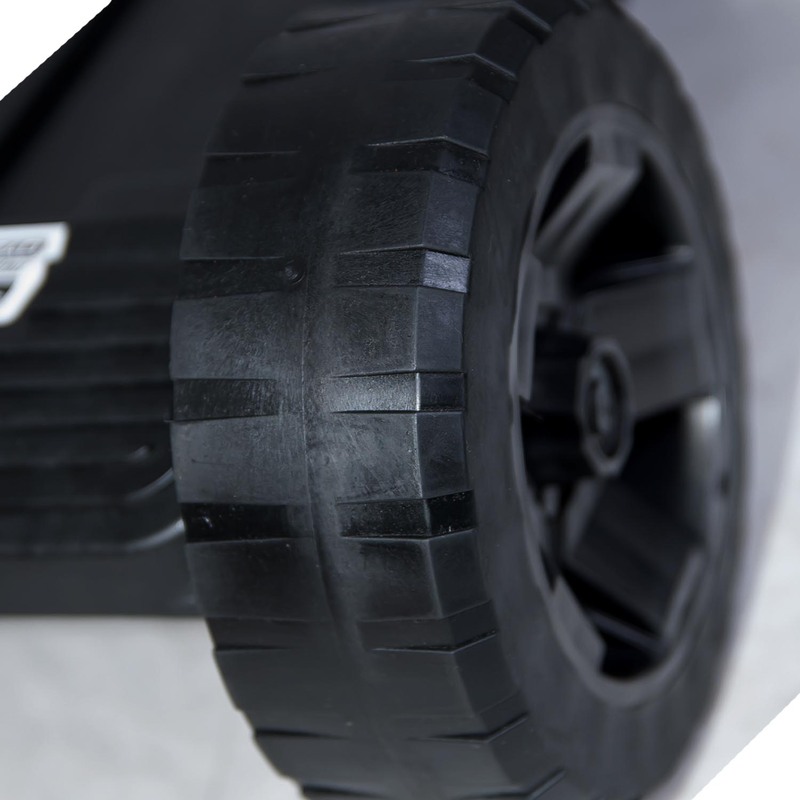 Two front big durable rubber-coated wheels, mounted on metal axle, allowing you to push through obstacles such as stairs, ramps or mud. 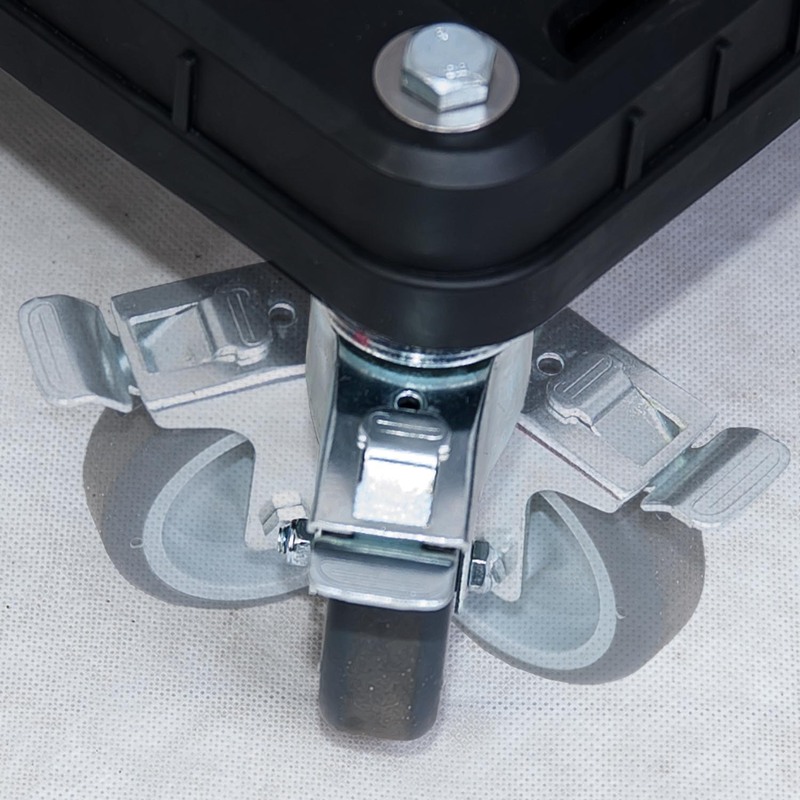 Metal swivel wheels with brake, ensure excellent maneuverability and protects the entire set before the unwanted motion. 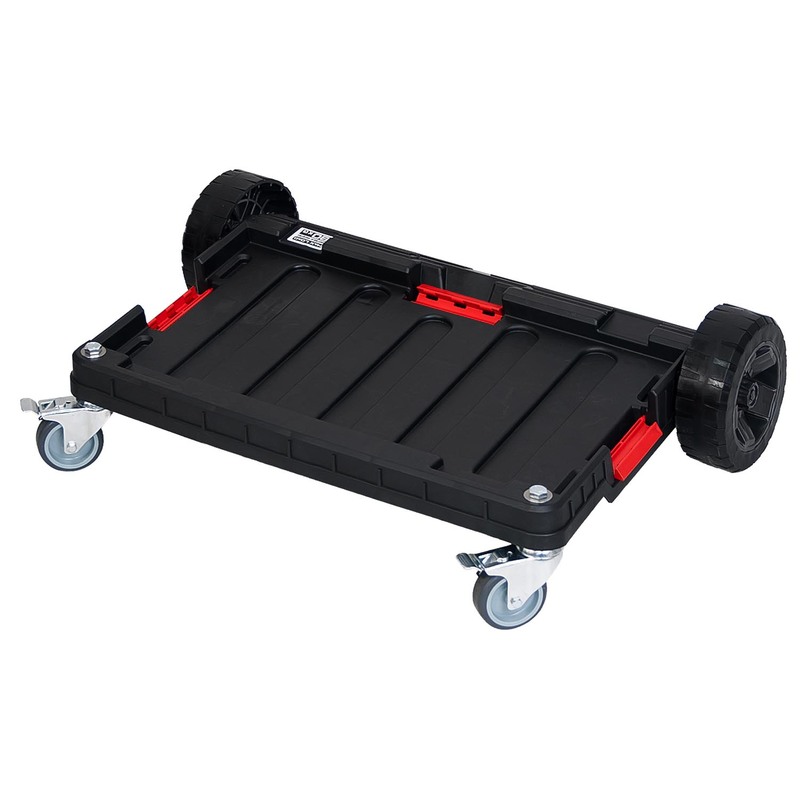 Mobile base of your set. 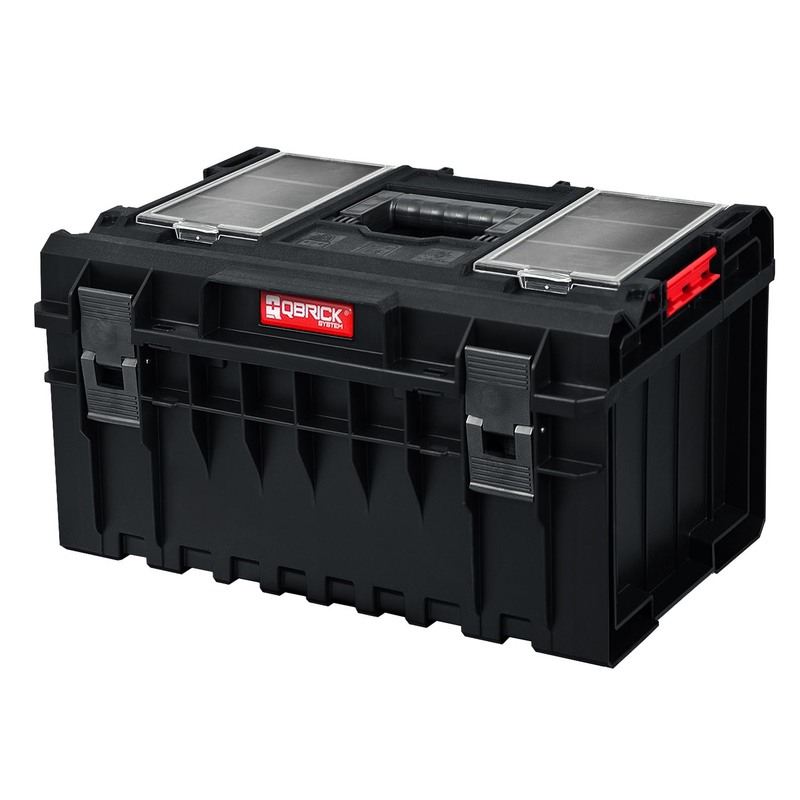 A large tool box on wheels for excellent mobility of Qbrick modular systems. 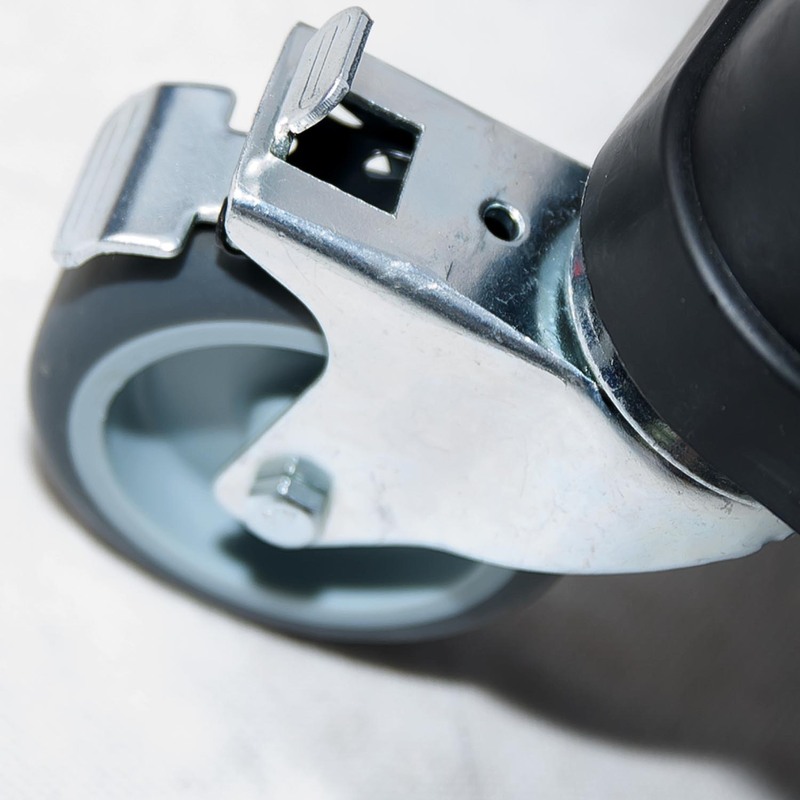 Two rubber-coated wheels mounted on a metal axle allow safe transport of even complex sets. 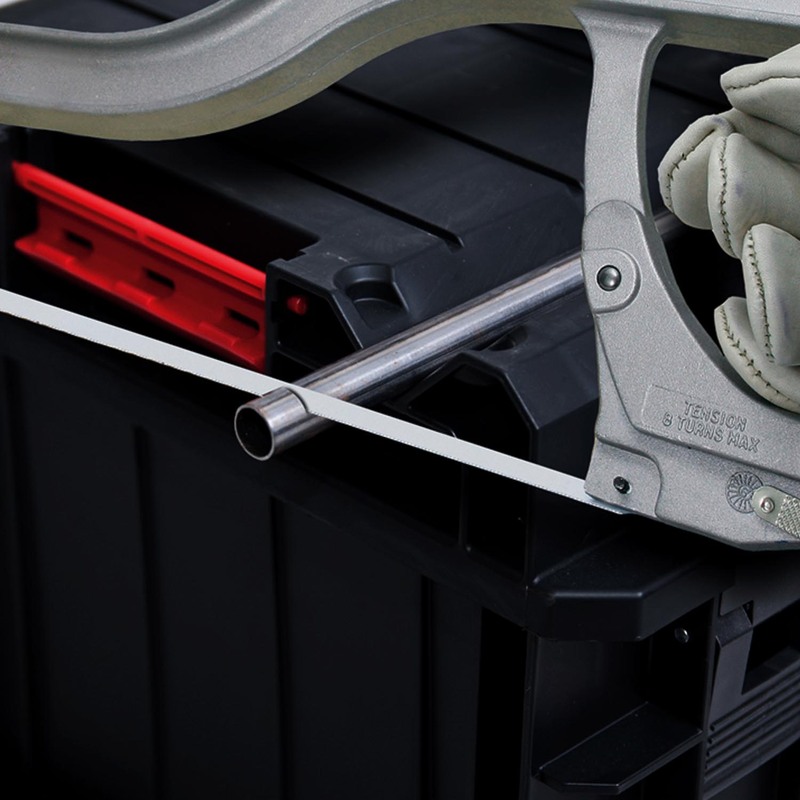 Telescopic handle, which tilts along with the opening of the tool box, provides convenient access to the inside of the tool box. 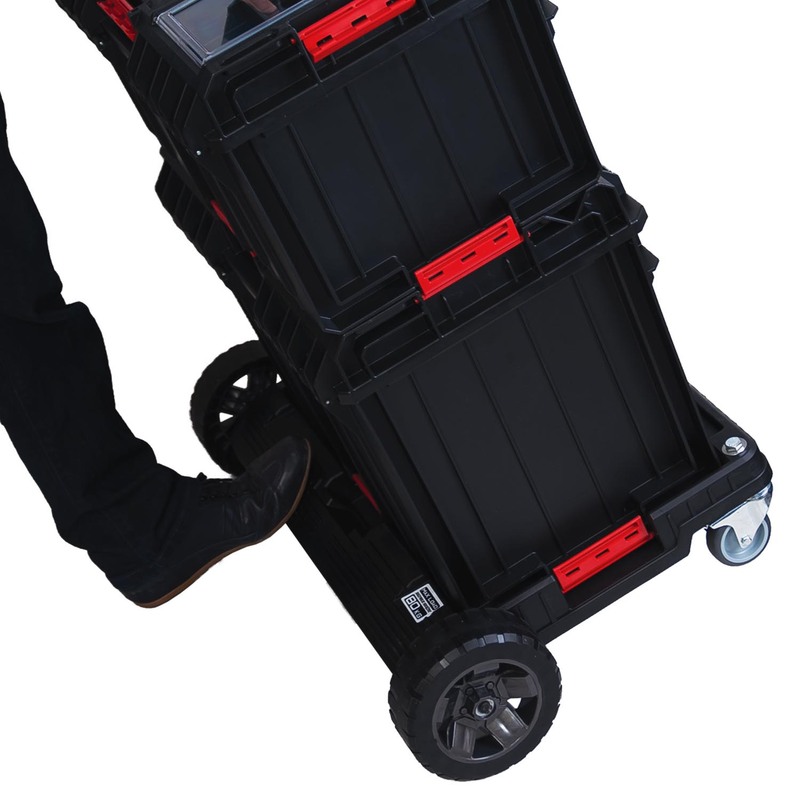 The box on wheels ready for anything. 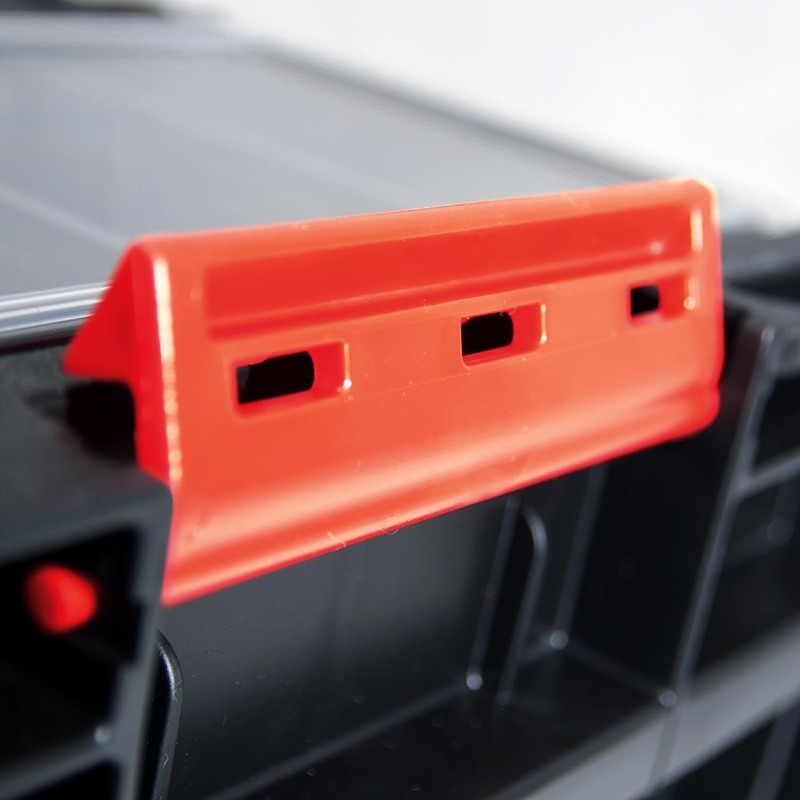 Technik is the most advanced version of Qbrick, equipped with innovative aluminum mounting rails that allow the use of classical carpentry screw clamps. 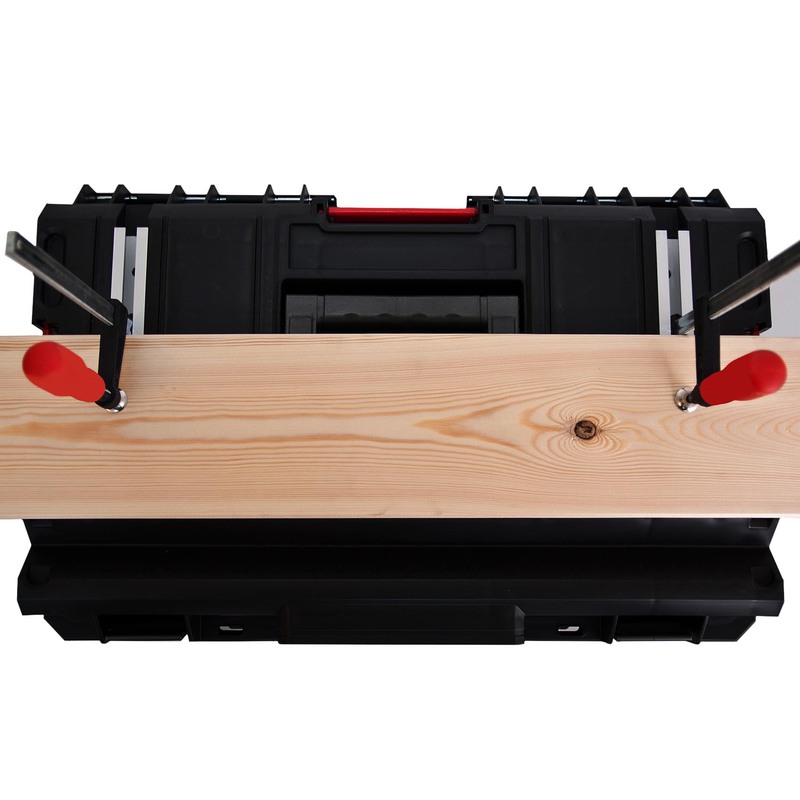 Thanks to them, Qbrick System Technik boxes can be used as work tables, necessary for precise trimming, gluing or holding. 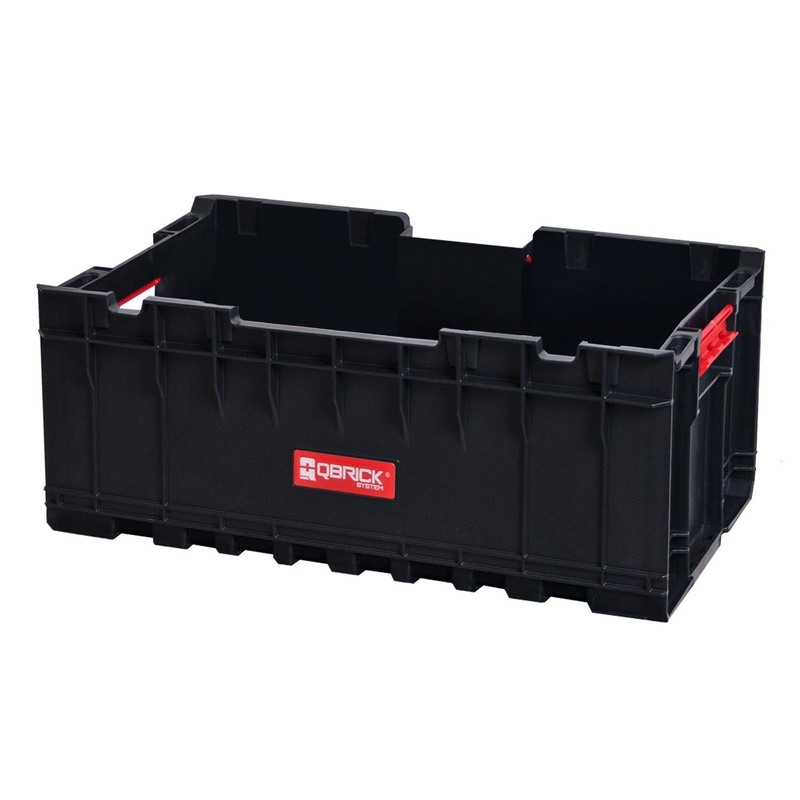 The functional box is an inseparable part of the Qbrick set. 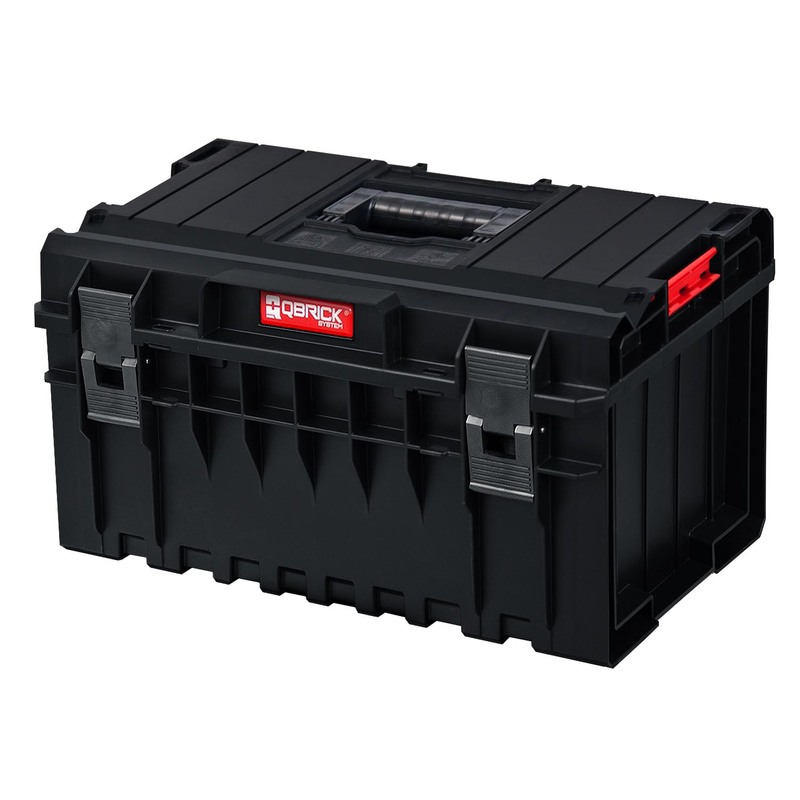 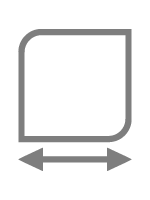 Large capacity and open construction allow to transport of items with non-standard dimensions or those that require direct access without the need to open the lid. 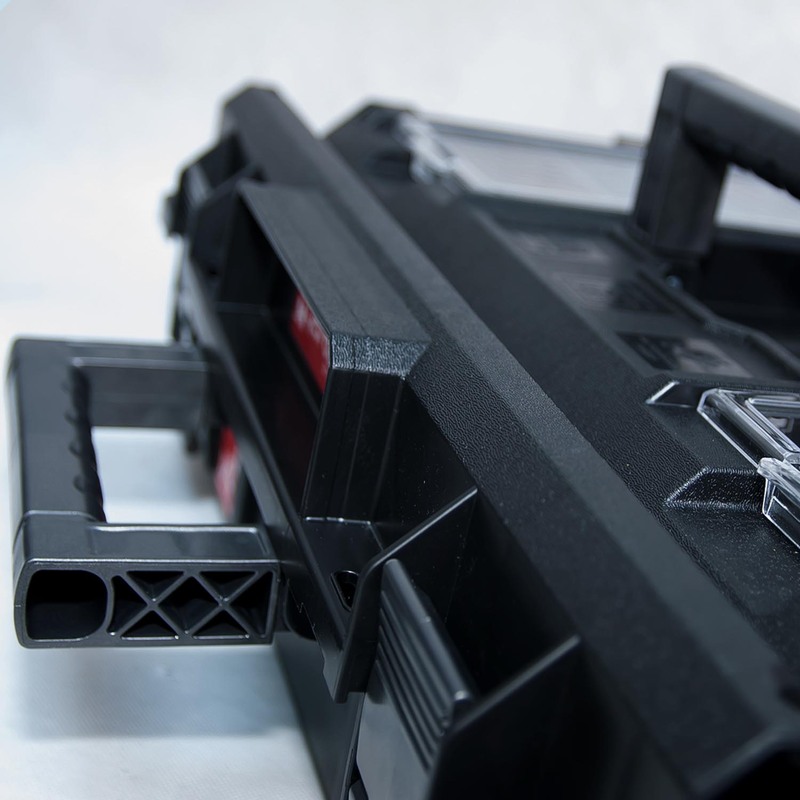 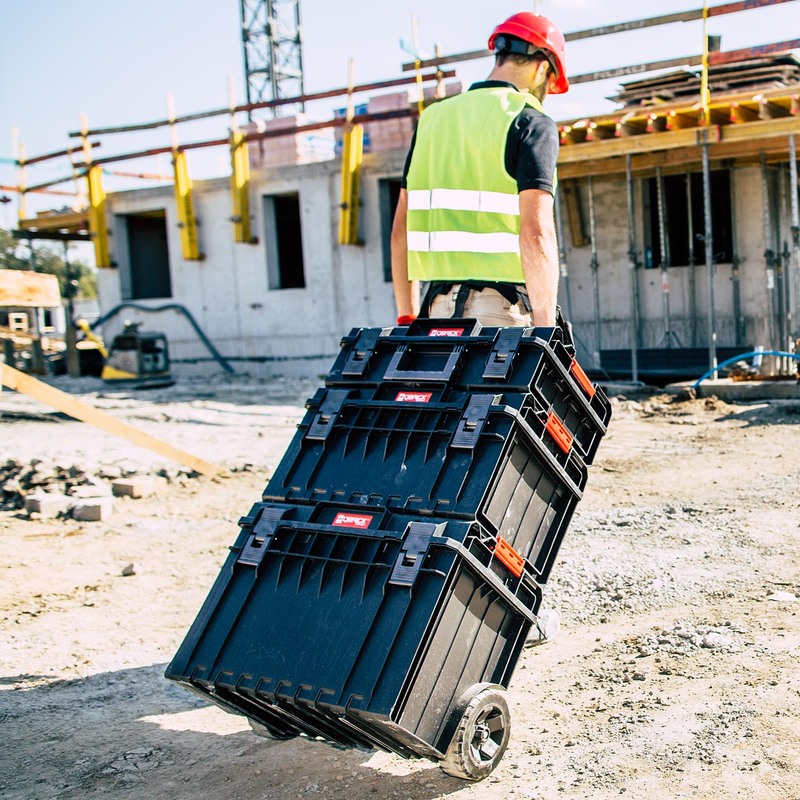 The system of connectors allows you to create multi-element sets with any Qbrick System One tool box. 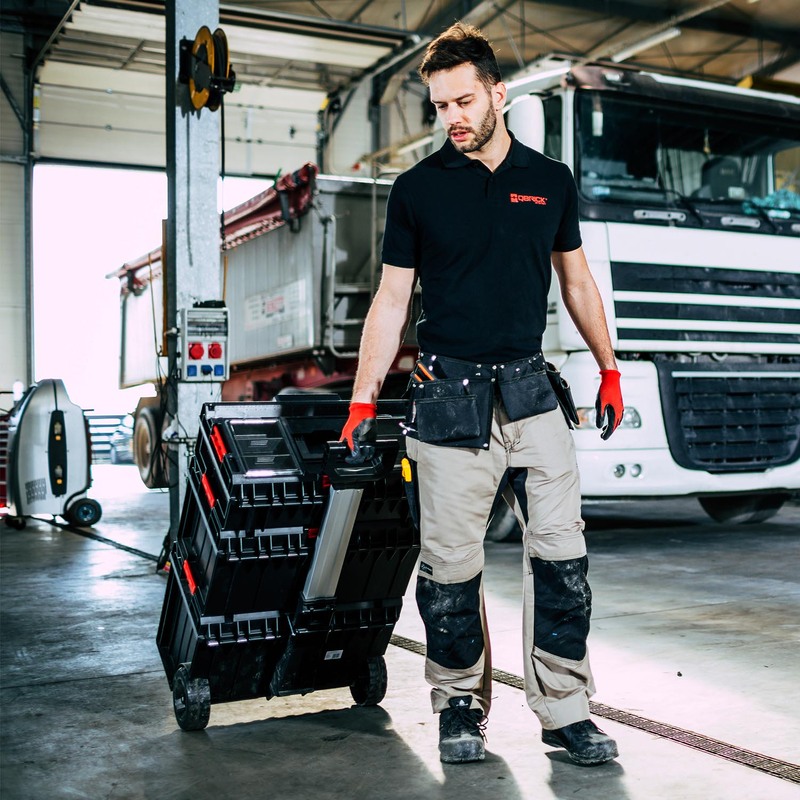 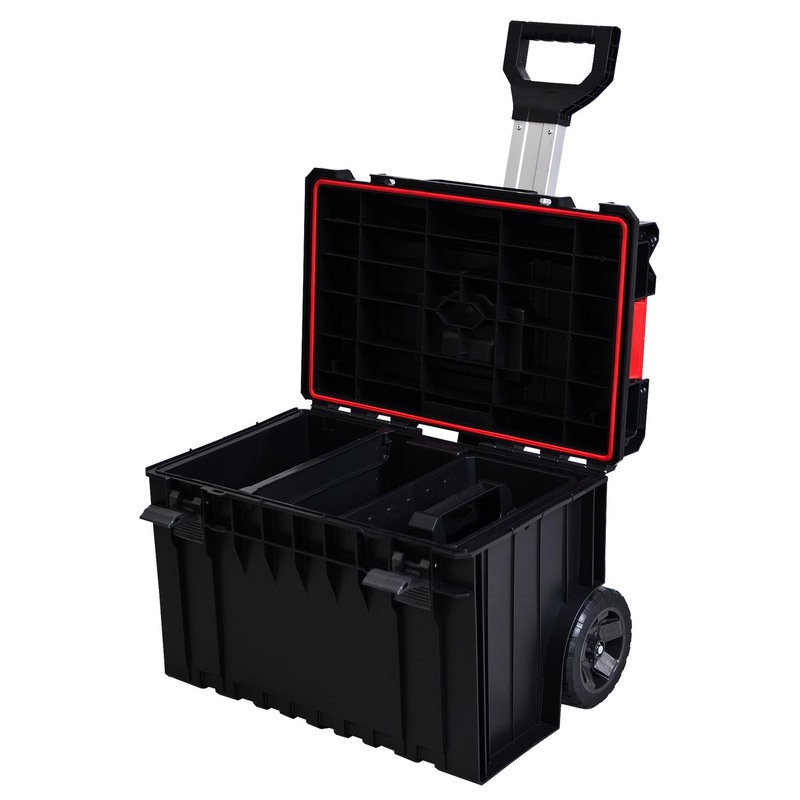 Mobile tool box allows you to carry long tools like hammers, angle grinders or mixers to cement together with the necessary accessories. 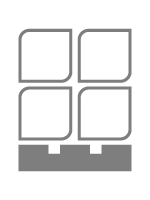 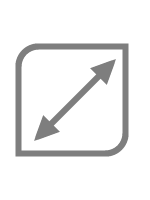 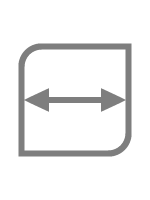 Above-standard dimensions make it a unique product in its category. 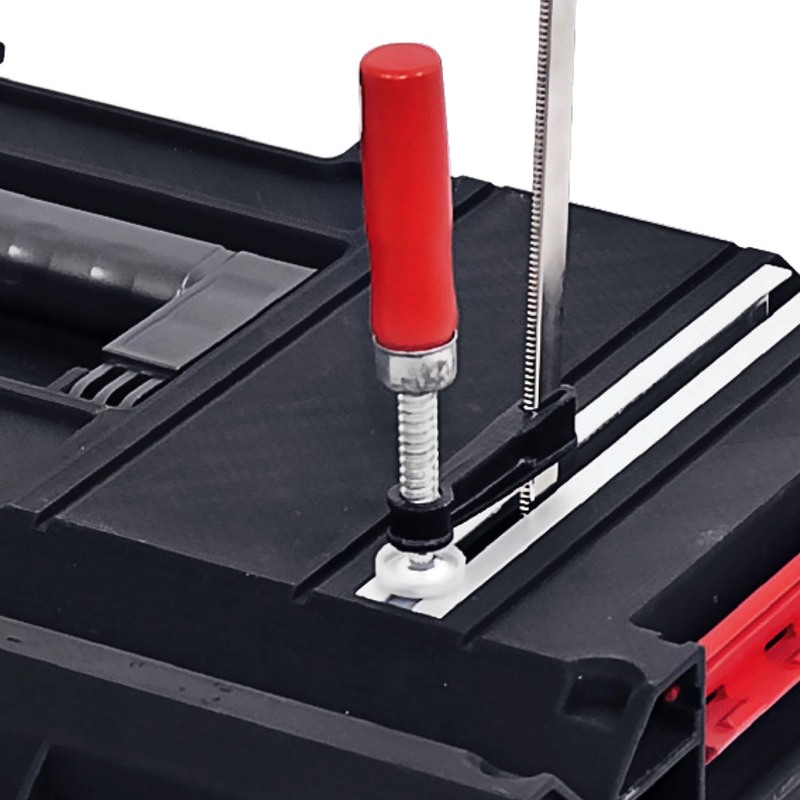 The Technik is the most advanced version of Qbrick, equipped with innovative aluminum mounting rails that allow the use of classical carpentry screw clamps.Thanks to them, Qbrick System Technik boxes can be used as work tables, necessary for precise trimming, gluing or holding.